At Kirstein Chiropractic we use state of the art equipment while still remaining "hands on". We utilize the Dynatron Decompression System for compression syndromes such and herniated discs, degenerative discs, sciatica and cervical disorders. Dr. Kirstein is a Certified Kennedy Decompression Technique practitioner. We also use the Cox Decompression table as well as the Lloyd Drop table for manual manipulation and trigger point therapy. 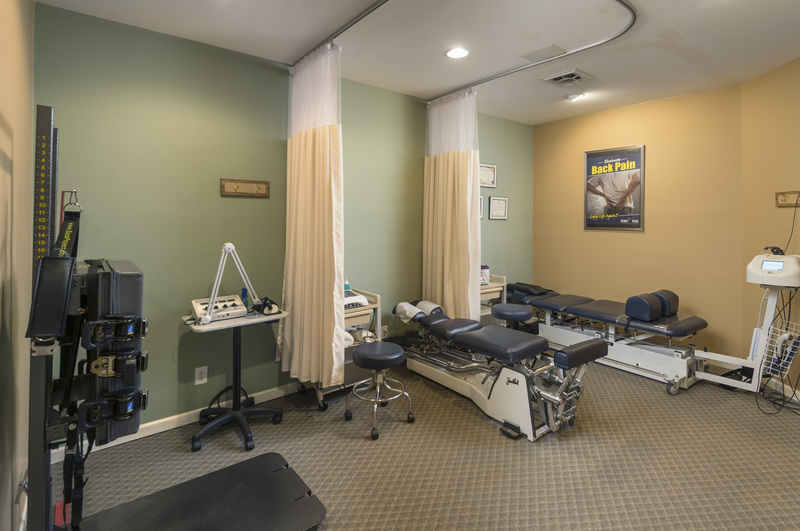 Dr Kirstein has taken continuing education classes led by Dr. James Cox, the Chiropractor who developed the Cox Decompression table and the Cox Technic. Dr. Kirstein continues to take post graduate courses in order to keep up with new treatments and technology. For patients who prefer not to be manually manipulated, we offer the Impulse iQ. It is a state of the art computerized adjusting instrument that provides gentle treatment to patients of all ages. Our ATM2 (Active Therapeutic Movement) device is utilized in treating movement disorders, such as pain with specific movements. An example for this treatment would be pain during the golf swing, or simply bending down to tie ones shoes. We use Class IIIB and Class IV laser therapy for many conditions including carpal tunnel syndrome, arthritis, shoulder conditions and general pain/inflammation. We offer several different types of physio therapy including electro muscle stimulation, pulsed ultrasound and the new Solaris Plus which delivers electro stimulation combined with heat or cold to create soft tissue mobilization. Our Aquamed Dry Hydrotherapy massage bed provides a full body massage done fully clothed. The speed, force and area of massage is completely controlled by the patient via computer touchpad. We offer digital footscans and custom orthotics made by Foot Levelers. For more information on any of these services listed above click on the drop down menu under Types of Treatment.